Ron Pierce drove his last career race on March 7, 2015. 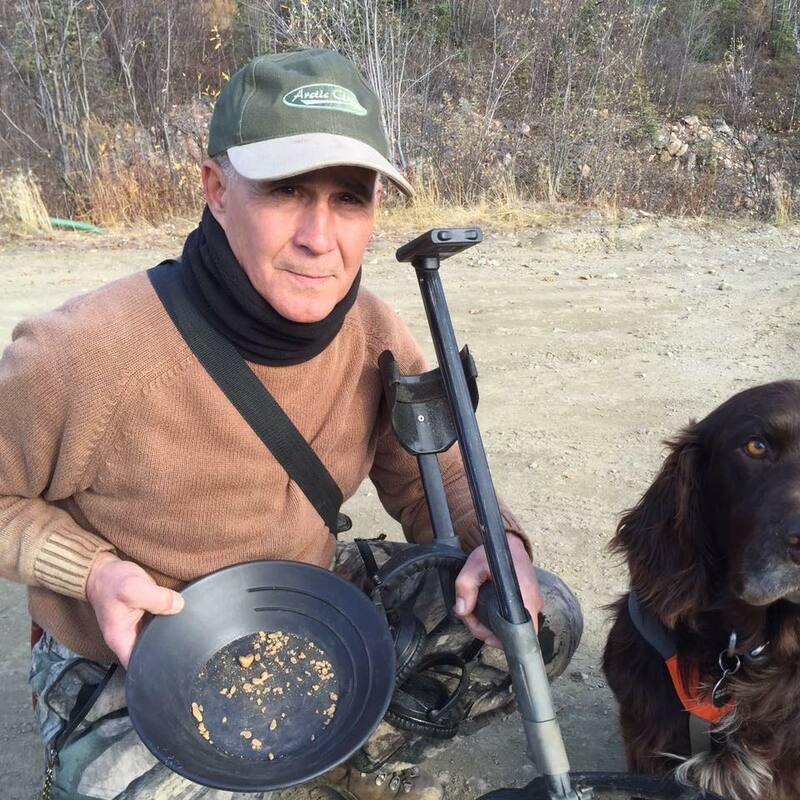 Pierce, who officially retired from driving in October 2016, has been spending his time in Alaska with his dog Diesel hunting, fishing, and prospecting for gold. Photo via Ron Pierce on Facebook. He officially retired from the sport in October 2016 at age 60 with 9,570 wins and earnings in excess of $215 million due to a serious back issue that had been plaguing him for some time. Pierce went through three separate surgeries and months of rehab before getting back on his feet. With a return to the sulky now off the table, the next phase of his life was about to begin. After selling his home last spring and downsizing his personal belongings, Pierce headed west to re-establish himself where he wanted to be and re-tooled for what he wanted to do. A native of northern California (Pierce was born in Livermore, just east of San Francisco) Pierce set his sights on moving west once again to return to his roots and the outdoor life that filled the days of his youth. Pierce bought a house in Great Falls, Mont., near his mother’s home. But that property would only serve as a base of operations as he no longer planned on migrating from place to place during the year to pursue all his interests. To facilitate that, Pierce also bought a new Ford pickup and a 27-ft. travel trailer that also hauls his all-terrain vehicle, boat, bike and all his hunting, fishing, and mining gear. After spending time in Alaska in 2016, Pierce decided to go back again this past summer to hunt, fish and prospect for gold. That trip provided a few interesting stories along the way. Pierce did not reveal any of his locations, but he did say he uses a metal detector and sluice box once he finds a good streak of gold. In August, hunting season started, causing Pierce to switch gears and that resulted in more work than he bargained for. “My friend Shane (Burton) came up from Maryland and he shot a huge moose,” said Pierce. “He had a 63-inch spread and probably weighed 1,800 lbs. on the hoof. The problem was he shot him in a canyon and it would just about kill us getting him out. Another time, Pierce was hiking the Marion Creek near the Arctic Circle when he ran into an unexpected guest. “We were walking along the creek when Diesel (Pirece’s dog) took off and I didn’t know why,” he said. “All of a sudden he came running back with a huge grizzly bear on his back. He was about a 600-pounder and stopped about 25 feet away. There he stood up; about nine feet tall, just looking at me. This past fall Pierce went to Washington for a month and hunted elk with his brother, Artie. Then he was off to Oregon to visit his aunt and uncle and do some fishing. The last time Pierce was at the track was for dinner a year ago at the Meadowlands. He said he misses driving the big races, but has no regrets. He loves his new lifestyle and slower pace and is thankful for having the chance to enjoy it. “I thought I was going to be crippled the last couple years I was racing,” he said. “The first surgery I had actually hurt me more than helped me. But I was lucky to find a great surgeon named Dr. Stephen Schiebert. He operated on my neck and then my back. I got progressively better after that and now I have no back pain at all.